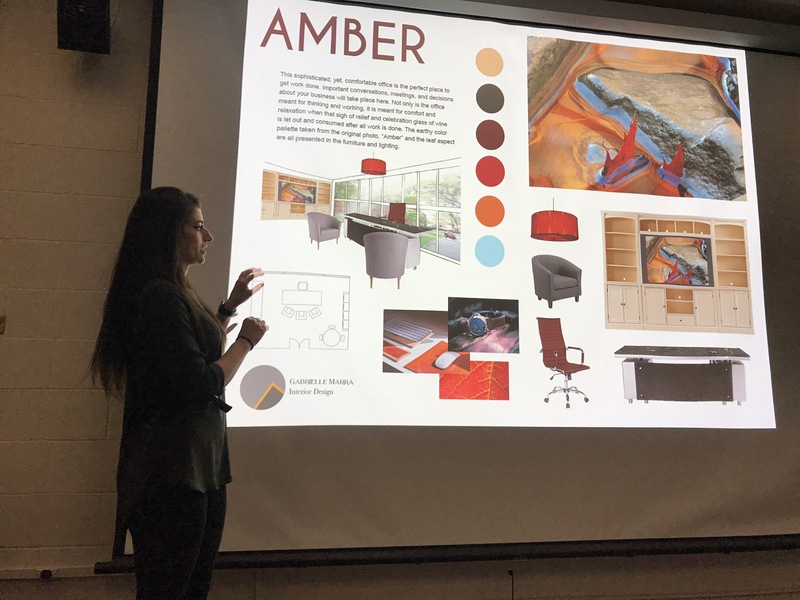 The interior design program at the Rochester Institute of Technology in Rochester, NY, is always looking to expand its student’s experience by exposing them to industry professionals. Interior Designers deal in working with texture, color, space, shape, and light, to create interior spaces that evoke the energy, emotion, style, and quality client’s are looking for. Helena Cooper Art’s abstract nature photography pieces had the wonderful opportunity of being featured in a Digital Design course project for Interior Designers, focused on teaching interior designers the principles of graphic design as it applies to their presentations. 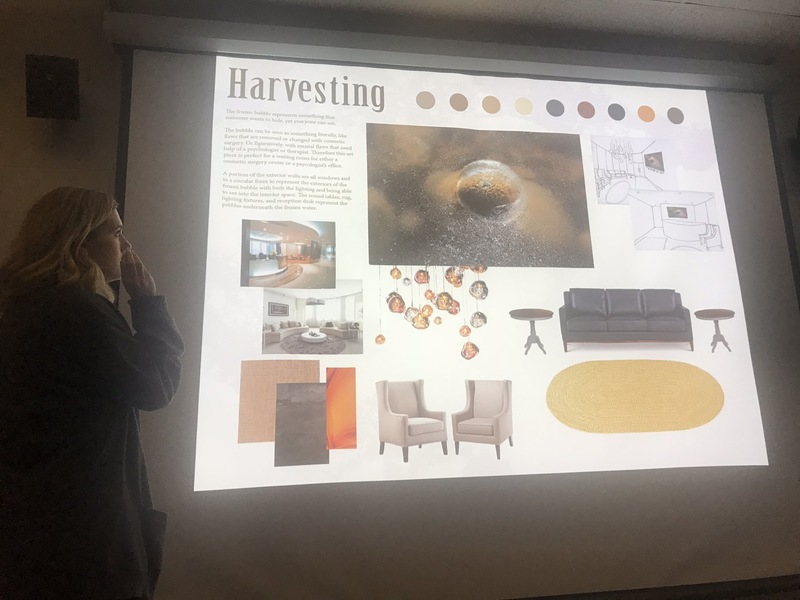 Each of the students in the Interior Design class were assigned one of Helena Cooper Art’s abstract nature compositions. 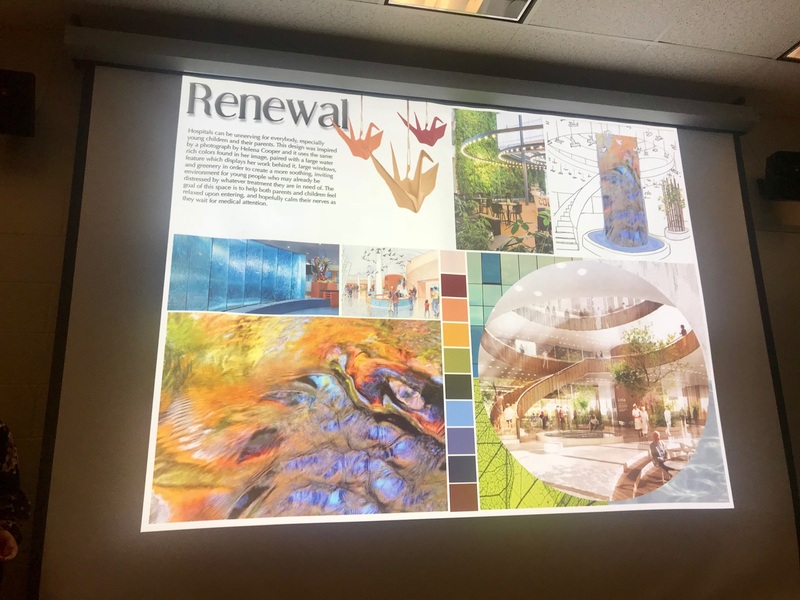 Using the photography piece as inspiration, students were tasked with designing an interior space that featured the abstract nature piece in a prominent way and accented qualities of the photography through color, texture, light, and shape. The industry, setting, and style of the interior space was determined by the student based on their perspective on what the specific piece evoked for them. Helena Cooper was invited into the class for the student’s final presentations. This project inspired the many potential applications for Helena Cooper Art.